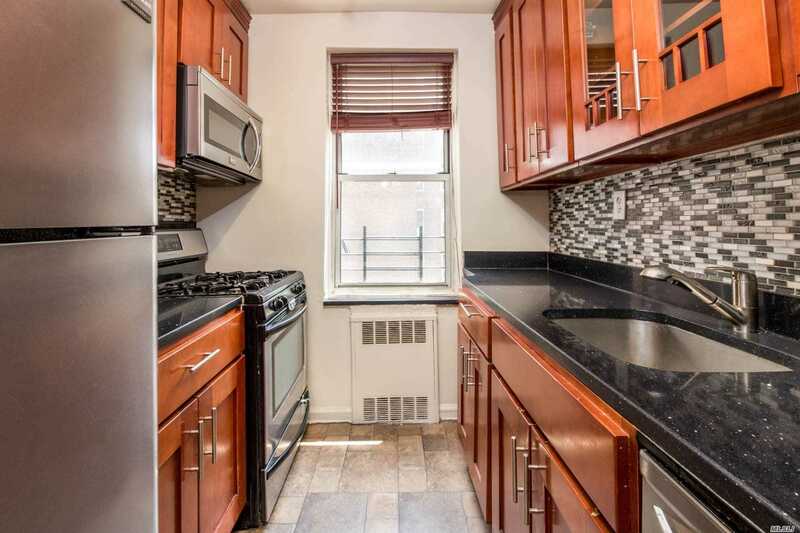 Located In A Very Residential Neighborhood This Doorman Bldg Offers A Gorgeous Two Master Bedrooms Fully Renov, Beautiful Hrdwood Floors Throughout. Cherry Kitchen Cabinets W/ Stainless Steel Appl, Separate Dining Area/Office, Renov Windowed Bath. Bldg Newly Renov, New Elevators/Roof, Parking $185(+Tax) W/List, Excellent Public Transport (M, R, E, F, Lirr), Near Yellowstone Park, Restaurants, Walking Distance To Major Banks And Commercial Districts( Gap, Banana Republic, Victoria Secret, Ann Taylor.